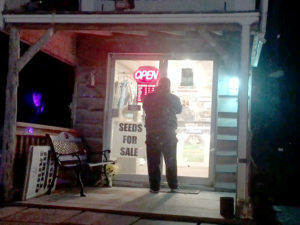 It’s a 24-hour, seven-day a week business at the Pot Shoppe on Tyendinaga Mohawk territory, east of Belleville, Ont. The small, cabin-like store was busy during the Victoria Day long weekend. At one point on Sunday, a male customer walked in to buy a gram of whatever he could get for $10 and asked about job opportunities. Robert Fisher, who goes by his Mohawk name Tehonikonrathe, was minding the counter and told the man apologetically that he’s not the guy to talk to about jobs and then measured out the gram. The customer then noticed a tomato plant near the counter next to some cannabis clones. “Is it crossed with pot or anything or is it pure tomato?” he asked. 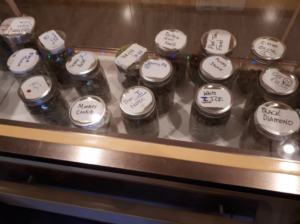 The Pot Shoppe is one of about 42 cannabis dispensaries that have cropped up in Tyendinaga territory over the past 18 months. At least 20 of them have sprouted since December. 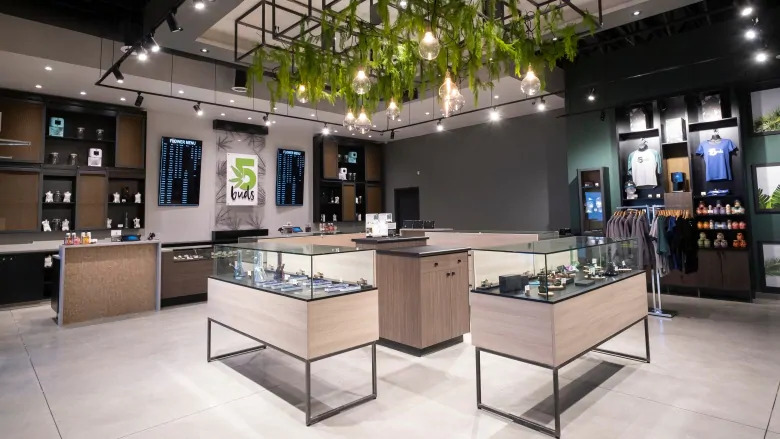 The dispensary types range from large compounds like Tim Barnhart’s Legacy 420, to storefronts in campers like Brendan McLaughlin’s Bayshore Dispensary which features a strain named after Prime Minister Justin Trudeau. Billboards for Sago and Deerfield cigarettes now mingle with ones advertising dispensaries named Better Buds and Peacemaker 420 as the seven-pointed leaf replaces tobacco as the cash crop in Tyendinaga. It has not been without friction. 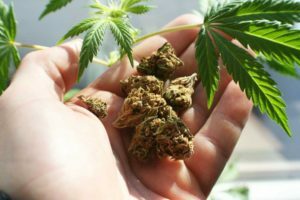 The Pot Shoppe opened its doors after the building’s previous tenants, who came from Toronto through a contact in Tyendinaga and operated under the name Smoke on the Water, were evicted by the property owner, with the support of community members, last month. 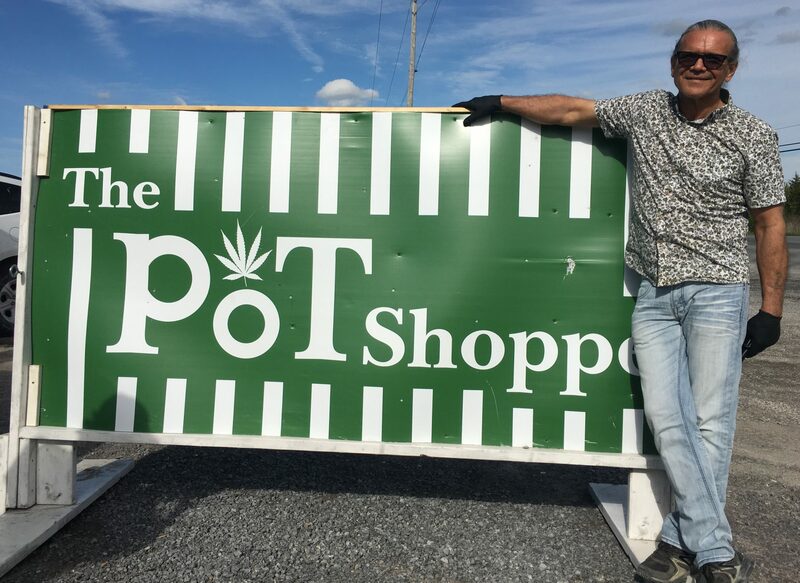 The Pot Shoppe is now wholly owned and operated by Mohawks. Sitting on a bench outside the doors of the Pot Shoppe during a pause in the customer flow, Tehonikonrathe started a discourse on the Indian Advancement Act of 1884, which led to the creation of band councils, Ottawa’s efforts to crush Iroquois traditional government and the Oka crisis in 1990. “The right to control us does not exist,” he said. 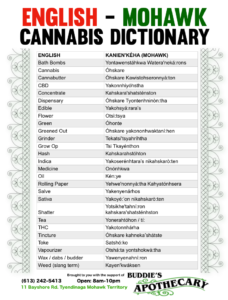 While Tehonikonrathe spoke, Clifford Miracle, a self-described sovereign entrepreneur, drove up and, through the open driver-side window, joined in the conversation as it turned to cannabis and federal and provincial government plans to regulate marijuana sales on-reserve. 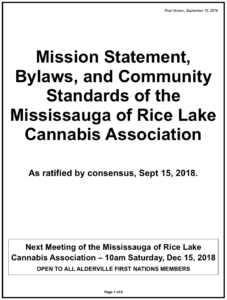 Unlike on-reserve tobacco sales, which are now largely regulated through quota agreements with the band council, Miracle said control over cannabis in Tyendinaga won’t be ceded easily. 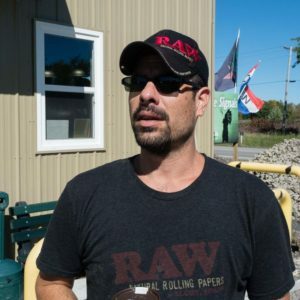 “We need to have our sovereignty recognized,” said Miracle, who owns the Mohawk Plaza gas bar in Tyendinaga and has three dispensaries on his properties. Tyendinaga sits about 200 km east of Toronto along the Bay of Quinte. It is here, near a place called Eagle Hill, where Iroquois oral tradition says Tekanahwirakeh, the Peacemaker, was born during an eclipse when the corn stalks were highest about 300 years before first contact. Tekanahwirakeh brought five previously warring Iroquois nations under one confederacy, according to oral tradition. 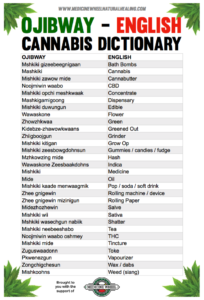 The Mohawk word for cannabis is Ohskare, which comes from the Mohawk word for Tuscarora, Thatiskaro:ron, which roughly translated means “they are covered in hemp.” The Tuscarora were driven from their ancestral lands in the Carolinas by war and joined the Iroquois Confederacy as the sixth nation in 1722. The Iroquois settled along the Bay of Quinte after they were forced to leave their homelands in the Mohawk Valley in what is now New York State following the American Revolution. The British Crown gave the Iroquois about 39,254 hectares land in what is known as Treaty 3 1/2 or the Simcoe Deed for their alliance in the war against the Americans. Only 7,284 hectares of the promised treaty land base remains today, according to the Mohawks of the Bay of Quinte band council. 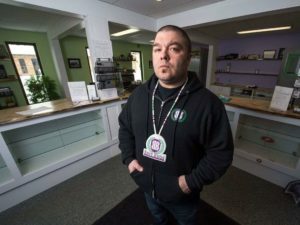 “Tyendinaga is a territory appointed by the Queen more than a rez,” said Phil Gannon, business manager for the Weed Store, which was the fourth dispensary to open in the territory about 14 months ago. Many here see Canada as an illegitimate interloper that has violated the original relationship between the Mohawks and the British Crown. Talk of sovereignty is not empty rhetoric here. 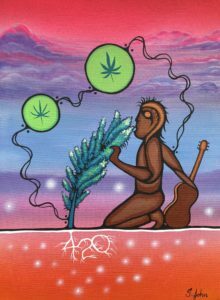 It is part of a way of life, said Ashton Maracle, manager of Peacemaker 420. His father, Mario Baptiste, who owns the store, said Canada and Ontario need to honour the agreements made with the Mohawks of Tyendinaga. “This is the bottom rung of the rebuilding of the nation where we take back our proper place and our home,” he said. On Saturday, in another part of Tyendinaga, Bob Marley’s granddaughter Donisha Prendergast discussed the links between the historical struggle of the Rastafari in Jamaica and Indigenous rights movements. 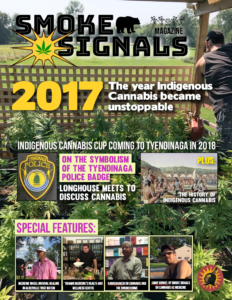 Prendergast was a speaker during the Indigenous Cannabis Cup, a four-day event featuring about 70 vendors and musical acts, held in a field behind the Smoke Signals marijuana dispensary. The winners of the competitions for best strains and extracts get a chance to supply dispensaries in Tyendinaga. “We must assert our sovereign rights,” said Prendergast. She then quoted the lyrics of her grandfather’s Redemption Song. “We are still in post-colonial times; the institutions that have been created to protect us only disrespect us,” said Prendergast as she continued her speech. 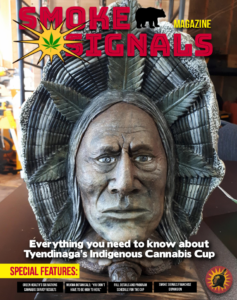 Smoke Signals owner Jamie Kunkel, who organized and hosted the Indigenous Cannabis Cup, aims to spur a rebellion of his own. Kunkel said the forces that tried to crush the cannabis market are now preparing to control it for tax and corporate profit. He said he wants to create a parallel market, based on Indigenous lands and beyond the reach of government hands. Kunkel opened Smoke Signals about 18 months ago and he is now franchising out his brand to several First Nations communities. One of his franchise stores recently opened in Kanesatake, a Mohawk community near Montreal, and another in Pikwakanagan, an Algonquin First Nation about 150 km west of Ottawa. 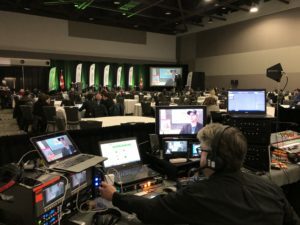 Kunkel said he is also opening an office in Mill Bay, B.C., about 30 km north of Victoria, and a franchise store in a First Nation on Vancouver Island. 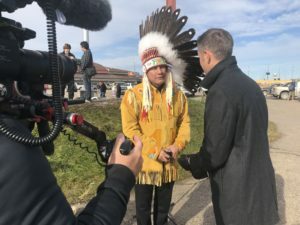 “I know we have rights, I know who we are as Indigenous peoples and I know for a fact we were here before them which makes that franchising aspect for me possible,” he said. Kunkel’s pitch has found fertile ground with some attending the Cup. 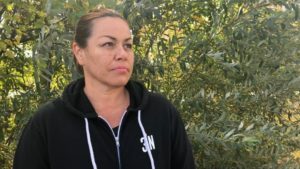 Marilyn Sandhoff, president of Four Winds Industries based out of George Gordon First Nation in Saskatchewan, said she attended to find out more about Kunkel’s franchise pitch. She said her company has submitted two proposals into that province’s lottery for cannabis retail stores. “If we don’t get picked in the lottery, I am going to try to get in and get through First Nation policies and governance,” said Sandhoff. 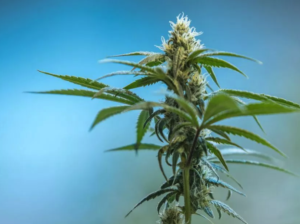 Yukon’s Carcross-Tagish First Nation, which signed a self-government agreement in 2006, is working on drafting its own laws to regulate cannabis on its territory, said Chief Andy Carville. 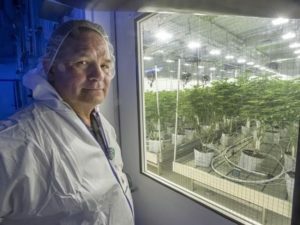 Carville said the First Nation is considering growing cannabis, along with vegetables, using aquaponics to grow salmon and waste nutrients to fertilize crops. 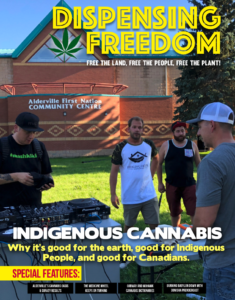 “We’re moving ahead,” said Carville, who attended the cup to get more information on the Indigenous cannabis industry. Across Hwy 49 from Smoke Signals sits Sweetgrass Farms, which advertises “bud treats” and $100 ounces of marijuana. Mike Holland owns Sweetgrass Farms and his mother, who also cooks up some of the edibles sold here, was minding the counter in the small store with constant customer traffic. Holland said there is an upcoming meeting in the community on the spreading cannabis industry next month. He said there are concerns over the amount of traffic the shops attract and about the impact on youth. For now, the band council has done little to intervene, and, despite some early threats to raid, the Tyendinaga Mohawk Police has also stood back, he said. “Everything is up in the air,” said Holland, after noting the police cruiser parked along the side of the highway for traffic control. 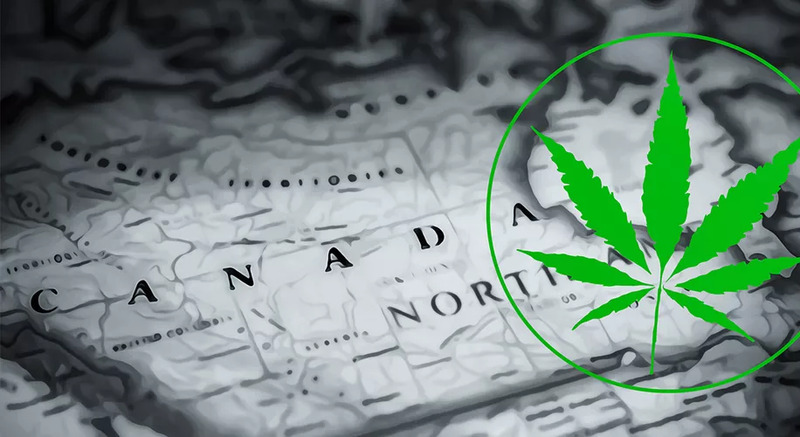 Kunkel said he’s heard about the tough words from Liberal MP Bill Blair, the federal government’s point man on the proposed pot law, who has warned against operating outside federal and provincial regimes once the new law comes into force. “They could very well put us back in a state of war,” said Kunkel.